Icon at Saint Gertrude Church, in Krakow, Missouri. Photo taken in May, 2007. Statue of Saint Ignatius of Loyola (“The Pilgrim” by Vicki Reid), at Saint Louis University, in Saint Louis, Missouri. Photo taken in June, 2009. At Saint Ignatius Loyola Church, in Concord Hill, Missouri. Photo taken in July, 2007. “As Ignatius had a love for fiction, when he found himself out of danger he asked for some [chivalric] romances to pass away the time. In that house there was no book of the kind. They gave him, instead, “The Life of Christ” by Ludolph, the Carthusian, and another book called the “Flowers of the Saints,” both in Spanish. By frequent reading of these books he began to get some love for spiritual things. This reading led his mind to meditate on holy things, yet sometimes it wandered to thoughts which he had been accustomed to dwell upon before. “Among these there was one thought which, above the others, so filled his heart that he became, as it were, immersed and absorbed in it. Unconsciously, it engaged his attention for three and four hours at a time. He pictured to himself what he should do in honor of an illustrious lady, how he should journey to the city where she was, in what words he would address her, and what bright and pleasant sayings he would make use of, what manner of warlike exploits he should perform to please her. He was so carried away by this thought that he did not even perceive how far beyond his power it was to do what he proposed, for she was a lady exceedingly illustrious and of the highest nobility. “In the meantime the divine mercy was at work substituting for these thoughts others suggested by his recent readings. While perusing the life of Our Lord and the saints, he began to reflect, saying to himself: "What if I should do what St. Francis did?" "What if I should act like St. Dominic?" He pondered over these things in his mind, and kept continually proposing to himself serious and difficult things. He seemed to feel a certain readiness for doing them, with no other reason except this thought: "St. Dominic did this; I, too, will do it." "St. Francis did this; therefore I will do it." These heroic resolutions remained for a time, and then other vain and worldly thoughts followed. This succession of thoughts occupied him for a long while, those about God alternating with those about the world. But in these thoughts there was this difference. When he thought of worldly things it gave him great pleasure, but afterward he found himself dry and sad. But when he thought of journeying to Jerusalem, and of living only on herbs, and practicing austerities, he found pleasure not only while thinking of them, but also when he had ceased. At the Collection of the Western Jesuit Missions, Saint Louis University Museum of Art. Photo taken in December, 2006. At the Shrine of Saint Joseph, in Saint Louis. Photo taken January, 2008. ON THIS DAY, in the year of Our Lord 363, the Roman Emperor Flavius Claudius Julianus Augustus, called ‘the Apostate,’ gained his eternal reward. Julian the Apostate is known for having repudiated Christianity in favor of an eccentric version of a philosophized Roman paganism. But like many Christians today, raised under a heretical interpretation of the religion, his attachment to the Holy Catholic Faith was weak and he ended up rejecting it. How many today claim to be delighted by the eccentric reforms which were supposed to have been required by the Council, yet never themselves darken the door of a Church, ending up completely outside of the Church? How many people today, especially powerful people, are repulsed by the yoke of Christ, and instead piece together their own religion, one completely pleasing to them? The direct persecution of Christians, he knew, would not work, for the blood of the martyrs is the seed of the Church; rather, he attacked Christ indirectly, by harassing and marginalizing Him. For this reason, Julian the Apostate is admired and imitated today by those who hate Christ. This kind of persecution, a new one in its day, ended with Julian, but it appears to have been revived once again in our own day. SOME THINK THAT film is an inferior medium — compared to say, written novels — mainly because 90 or so minutes is hardly enough time to cover the material in even a short novella. But no one denies that film is a powerful medium: its immersive quality means that impressions flow directly into our minds, bypassing our critical faculties. The little gatekeeper to our soul, who actively scrutinizes ideas as we read them on a page, is seemingly asleep when we are in a darkened theater watching a film. So cinema can be a two-edged sword — potentially a great good or a great evil. But in a civil society, should not power come with greater responsibility? Those who have great means have a far greater moral culpability than the rest of us. Cinema is very powerful, but who has the right or the responsibility to regulate this power? Early commercial cinema tended to be sensational, and it seemed that films with racy or violent content sold well, and this led to an industry-wide trend to embrace this lowest-common-denominator content, as studio executives were not willing to lose business to their competitors. But children and youth were observed to directly imitate the evil things they saw at the movies, and this led Progressive Era reformers to demand government censorship of the media. Eventually, government censorship boards were set up in many states and municipalities in the United States. The censors had the power to cut out scenes or even to deny licenses to films, preventing them from being shown in their jurisdiction. Ironically, this censorship had an effect that was not intended — Hollywood made films that were even more sensational, salacious, and violent, hoping that some would make it past the censors, and many did. But this is hardly a good way to do business and it compromises the artistic integrity of a film. Besides, is government the best institution to ensure the morals of youth? A better solution would be for the industry to regulate itself in cooperation with associations of cinema-goers, avoiding the heavy-hand of government. Now, many decried this kind of self-censorship — even though it is far better than government censorship — as limiting artistic freedom. But what was the result of such self-regulation? It is now called the “Golden Age of Hollywood,” an era of filmmaking that embraced humanism and the high ideals of our civilization, an era where films were more literate, psychologically nuanced, and with a very high quality of art. This was also an unexpectedly profitable time for filmmakers, and many films of that era transcend their time and remain popular today. Pope Pius stated that films must be morally good — they must encourage the good and discourage evil — but they must also be artistically good. Good intentions must be coupled with good art. Too many Christian groups, naive or dismissive about the medium and business of film, put out nice but terribly inartistic films that have minimal influence on our culture. Good art, on the other hand, cannot be ignored. 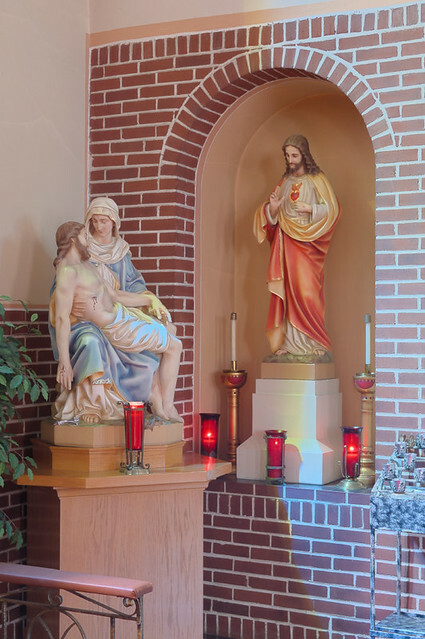 HERE ARE PHOTOS of Saint Joseph Church, located in the village of Prairie du Rocher, Illinois, which is a parish of the Diocese of Belleville. One of the oldest parishes in the region, dating back to 1721, in the oldest surviving settlement in Illinois, this church is located on the flood plain of the Mississippi River in Randolph County, about 47 road miles south of downtown Saint Louis. 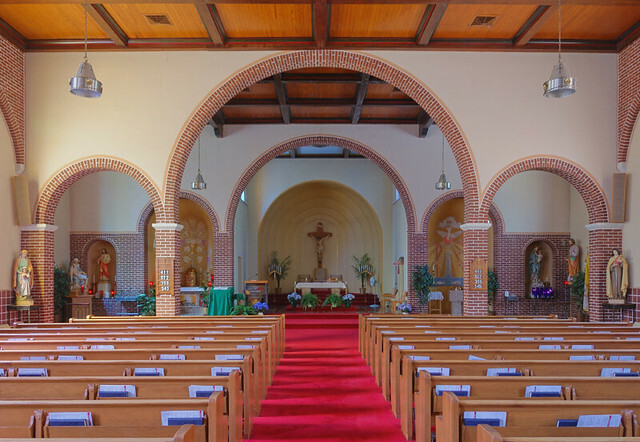 Saint Joseph church has its roots in the royal church of Saint Anne, founded in 1721, at the French colonial Fort de Chartres, located about 3-½ miles to the west of here. At the time, this was the territory of the Diocese of Santiago de Cuba, and the parish was staffed by Fr. Joseph Ignatius le Boullenger (a polyglot missionary who wrote a catechism in the Illinois language) and Fr. Joseph François de Kereben (later Superior of the Louisiana missions) of the Society of Jesus. A list of parish pastors can be found here. Originally a chapel of ease of Saint Anne’s, a log chapel was built at what is now the church’s cemetery, less than a half mile to the south of the present church, and was replaced at least once by a larger log church. A new stone church was begun there in 1851, but work was abandoned due to flooding. 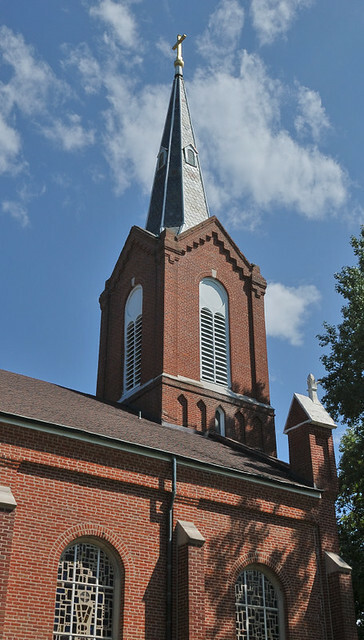 The cornerstone of the current church was laid in 1858, on higher ground, and the church was expanded in 1925, and its interior was renovated later. Another chapel of ease of Saint Anne’s parish was built at Saint Phillipe, and was called Our Lady of the Visitation, which was destroyed by flooding in 1765. This also severely damaged Saint Anne’s church. Saint Joseph became the parish church sometime about 1767, when this region was under British rule. A history of Prairie du Rocher, and Saint Joseph’s, dating from 1942, can be found here. A history from 1972 is here, from which was adapted the history on the parish’s website here. The church is named after the foster-father of Our Lord, patron of the Universal Church, of fathers, of carpenters, of social justice, of a happy death, and of New France. The town was originally called “La Belle Prairie du Rocher” which is French for “The Beautiful Meadow of the Rock” and is named after the tall limestone bluffs above it, and for the vast grassy lowlands upon which it sits. This region remains a beautiful and interesting place to visit. The interior is rather curious, particularly with the arch located in front of the pews but at a considerable distance from the sanctuary. I’ve never seen anything like it before. 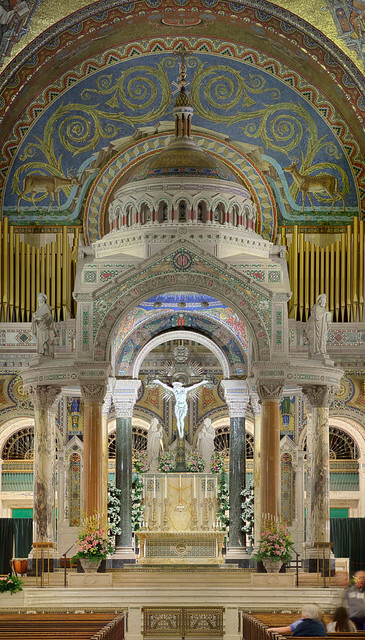 The tabernacle is located to the left in a niche, and the baptismal font is located in a symmetrical position on the right, with devotional statues placed at the far opposite sides. 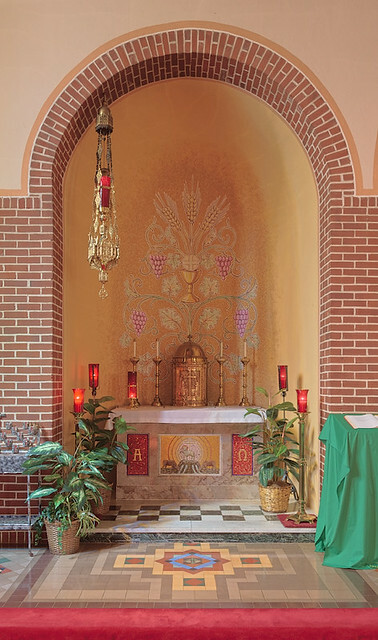 The tabernacle is nicely decorated with a worthy setting, with various Christological and Eucharistic symbols. The Pièta and Sacred Heart of Jesus. Paraclete — from the Greek word for the Holy Spirt. This style of faceted stained glass, which uses large, thick chunks of broken glass, dates from the early 1950s and was used extensively until about the mid-1960s. These kinds of windows are exceptionally difficult to photograph well. The colors you see here are not particularly accurate — they are more saturated in color than can be shown on a computer monitor. 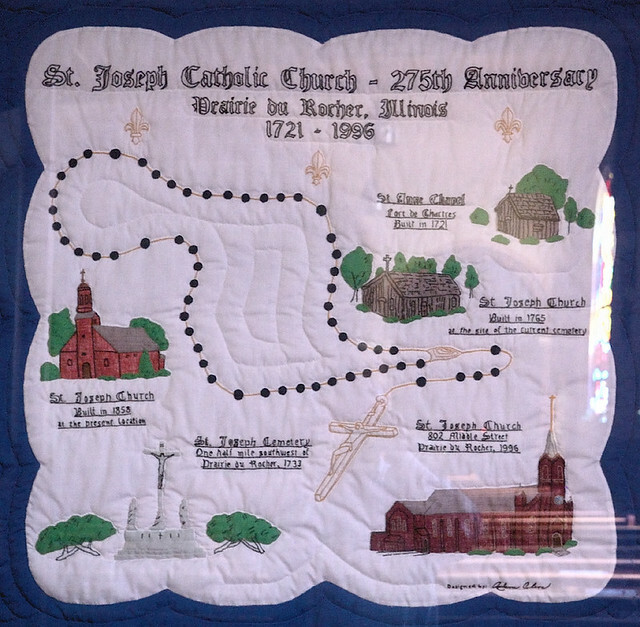 A quilt showing the history of the parish is displayed in the back of the church. Denzinger's famous Enchiridion Symbolorum et Definitionum is a handbook on the sources and development of the Catholic Faith. Like other typical German Handbuchs of the 19th century, this one is dense, hard-to-read, and very, very thorough. Dig deep, and you will discover what is doctrine, what is condemned, and what is open to interpretation, and gives you the who, what, when, and why, going all of the way back to the beginning. UPDATE: for whatever reason, Google likes to direct folks seeking the Enchridion to my web page here. An English version of the Enchiridion Symbolorum was once put online, but has since been taken down, but you can still find a copy of it on the Internet Archive here. It is also available in Latin, Spanish, and French. THE NEXT BOOK with my photography will be out this fall. 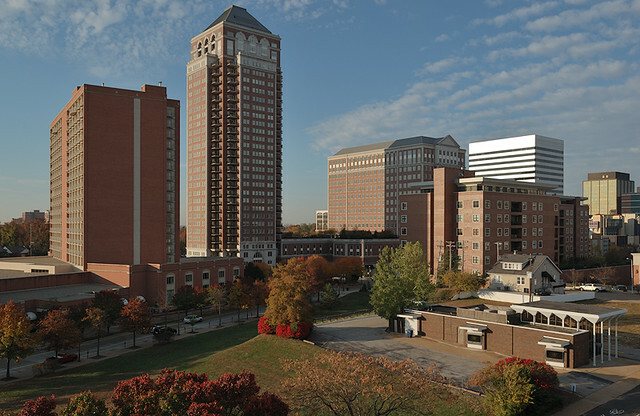 Commissioned by the City of Clayton, the county seat of Saint Louis County, Missouri, this book will feature my photography of Clayton’s neighborhoods, businesses, nightlife, parks, and churches. Authored by Mary Delach Leonard with Melinda Leonard, you can pre-order an autographed copy of the book here. You can purchase one of my books by clicking on the buttons appearing on the sidebar. AT THE HEART of all things are problems that are ultimately philosophical and religious. This is despite modernity’s avoidance of philosophy and religion, for these are basics that permeate all of reality whether or not someone likes it. Every intellectual system that makes claims — and certainly all do — is ultimately a metaphysical system, and so is inherently saying something about religion. And so, I’ve noticed that religion and science tend to be more tightly intertwined than we may suspect, and despite the efforts of modern theorists of science. The materialism noted in the quote above was more found in the older, Newtonian physics than what we find in the newer Quantum mechanics. During the Reformation, the new religions tended to deny human free will and instead embraced a narrow kind of predestination: that before the beginning of time, God created some humans to be saved and others to be damned. This view became widely accepted among Protestant groups, and even among many Catholics, although this was eventually declared heretical. With this religious view, which became most codified in Deism, it is pretty obvious that a completely deterministic physics would not be far behind, and we eventually found this with Newtonian mechanics. Under Newton’s theory of motion, the initial conditions of a system — even the entire cosmos —determines completely its subsequent motion for all eternity, and this physics corresponded well to the kind of predestination being promulgated by the various reformed religions. Taking this theory seriously led to Deism, where God created the cosmos according to a pre-determined plan, and then did nothing whatsoever afterwards — not even revealing Himself to the world through his Son. Atheistic materialism itself developed from the idea that there was no ‘initial condition’ of the cosmos, that is, from the idea that the cosmos always existed: however, some philosophies of antiquity posited an eternally-existing cosmos along with an equally eternal Ultimate Deity. While the physicist Albert Einstein (1879–1955) is known more for his Special and General Theories of Relativity, he gained fame initially, in the year 1905, by mathematically demonstrating the quantum hypothesis — the theory that energy is transferred in discrete, and not continually varying, quantities. This theory was a major crack in the Newtonian framework, and eventually led to the theory of Quantum Mechanics. This scholastic reasoning is unreasonably effective, which is something that we ought to keep in mind, especially in light of more modern theories that place all their hope in purely human and skeptical observation of things, and not in things that are larger. But we must be humble enough to realize that human reasoning is much more effective with simple systems, such as physics, and will be less satisfactory when dealing with the complexities of biology and human psychology. But this observation of complexity is in line with the old scholastic notion of the Great Chain of Being, where physics can be found at the far bottom end of the chain, and so is inherently more easily understandable. Einstein’s Theories of Relativity posit that space and time are not absolute — these being axioms of the old Newtonian physics — but are contingent on something else even more basic, and so are ultimately malleable and changing. But this was something understood even by the ancient rabbis before Christ, that space and time are creatures of God as are we, something made and not perfect unto themselves. Einstein, although a non-practicing Jew, still used the scholastic methods of his forefathers: he knew, ahead of time, that his theories were largely correct, and that the experiments that seemed to contradict his results had to be wrong. Skeptics can doubt as much as they like, but they can never advance science. Quantum mechanics changes things even more. Like the equations of Newton, quantum theory is deterministic in structure, yet produce results that are only probabilistic in outcome. The theory is rational, it posits true reasons for observations, and yet the future remains for us unknowable. The acceptance of this theory, as you might imagine, led many physicists away from a purely materialistic and atheistic world-view, for the theory shows that transcendence is intrinsic to the laws of nature. Now, this theory in and of itself is not completely convincing, and there are many wildly diverging philosophical opinions on the meaning of quantum mechanics, but it is more consistent with the wider Catholic view of the world than what we found under Newton. UPDATE: having been in a hurry to get to Mass this morning, I didn’t get to the main point of this article. The recent claim of the discovery of the Higgs Boson is of major theoretical importance, because it is the final piece required to complete what physicists call the “Standard Model,” a theory which unifies under one consistent umbrella the forces of nature which lead to electricity, magnetism, light, radio waves, nuclear energy, and certain forms of radioactivity. While important, it still leaves out an explanation of gravity. I wrote some more about this here. Last week at the Institute’s priestly ordinations in the magnificent Sts. 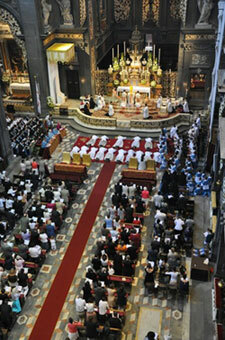 Michele e Gaetano Church in Florence, Holy Mother Church gained five new priests. Holy Orders was conferred upon these five men by His Eminence, Raymond Leo Cardinal Burke, on July 5. Grateful always to God’s bounteous provisions, the Institute invites all faithful and friends of the Institute to share in our great joy in introducing: Canon Alexis d’Abbadie d’Arrast, Canon Jorge Arrasate Iragui, Canon Alban Denis, Canon Sébastien Goupil, and Canon Louis Valadier. Deo Gratias! This important week began with the reception of cassock and tonsure by the “First Years.” Minor orders of porter, lector, exorcist, and acolyte followed for many other seminarians. All told, sixteen Americans were among the forty seminarians who received minor orders. On July 4, His Excellency, the Most Reverend Alexander K. Sample, Bishop of Marquette, Michigan, ordained five seminarians to the diaconate, and ten new subdeacons. Among these new subdeacons are five from the United States. Please support them, most importantly with your prayers, for the glorious but arduous road ahead for our future priests. Photos of the ordinations will be available for viewing on our website soon. In the meantime, we are pleased to show a preview photo taken by one of the families who attended the subdiaconate ordinations. After the ordinations festivities in Gricigliano, and before a new academic year begins at the Seminary, the Institute’s seminarians generously give up some of their summer vacation to assist at an Institute apostolate. The seminarians are able to work alongside Institute priests in their ministry, and to meet the faithful for whom they pray every day at the Seminary. This summer, the Oratory is delighted to welcome Abbé Matthew Weaver. 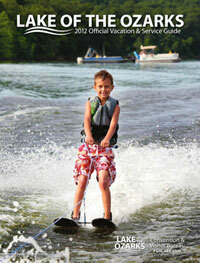 Abbe Weaver is originally from Cleveland, Ohio, and has just completed his first year. He had just received his cassock and the first clerical tonsure last week at Ordinations in Gricigliano. Welcome to St. Louis, Abbe Weaver! We look forward to get to know you this summer. Last Sunday, July 1st, the Oratory marked a special milestone in the priestly life of one of our members: Father Jean-Pierre Herman, who celebrates his 25th Ordination Anniversary. Originally from Belgium, Fr. Herman was received as an affiliate priest of the Institute in 2011 at the Canons’ Retreat here in St. Louis. This past year he has been welcomed by the community at Old St. Patrick’s Oratory in Kansas City, as well as at St. Francis de Sales Oratory here in St. Louis. We are most grateful for his presence in our apostolates, and for the opportunity to celebrate his twenty-five years dedicated to the service of Holy Mother Church. Following the 10:00 AM Solemn High Mass celebrated by Fr. Herman in the Oratory, made more glorious by the music sung by our choirs, (Louis Vierne's Messe solennelle), a joyous reception was prepared for Fr. Herman in the hall. Joined by the faithful, Fr. Herman recalled in thanksgiving his priestly ordination twenty-five years ago, and received a gift presented by Canon Talarico on behalf of the Institute and the faithful. 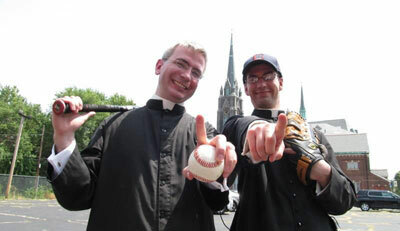 Join us this Sunday, July 15, for the first ever Oratory Home Run Derby. It will be great fun for the participants and spectators alike! If you're interested in participating please contact the Rectory office at 314-771-3100. We look forward to seeing all of you there! 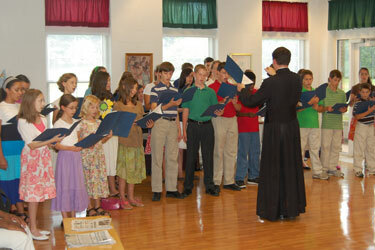 As in past years there has been an excellent response to the Institute’s third annual choir camp! The girl's dormitory filled up very quickly and there are currently only five available spots for boy choristers.The tuition for choir camp underwrites a large portion of the necessary expenses: faculty stipends, musical material, camp counselors, room and board for 50 people. However, to make this unique & affordable for choristers to attend, we must ask that you prayerfully consider making a donation to help underwrite the remaining balance of $4,000.00. These chorister children will be soliciting donations after Masses this Sunday, July 15th. They will be offering thank you gifts to kind-hearted donors. May God bless you for your charity! Our annual “Summer at the Oratory” event, celebrating the patron saint of our city, King Saint Louis IX, will take place on Sunday, August 19. 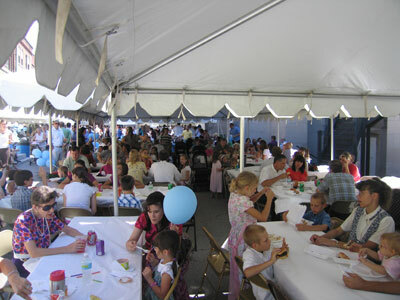 The afternoon will be great fun for the entire family and an opportunity to build new friendships! This year, we are introducing a stupendous raffle to the banquet of activities offered. A wide array of excellent prizes has already been assembled for this summer’s event: vacation package, gift certificates, winery & brewery tours, and $$$, just to name a few. The raffle tickets will be available for purchase after both Sunday Masses in the Church Hall or by calling the office. The much-loved favorites will be there too: terrific barbeque, beer, live jazz music, silent auction, country market, horse rides, and games--who doesn’t love a good dunking booth & the ever popular pig races! Mark your calendars, and spread the word among family and friends! So far, over $4,100 has been raised for St. Francis de Sales through the scrip program! As a thank you gift for participating, each time you purchase scrip, your name will be entered in a monthly drawing for a free gift card. For even more convenience, please consider using the "ScripNow" option offered by more than 59 retailers. ScripNow is available 24 hours a day and in $10 increments, it is easy to customize your Scrip purchase. The reloadable option and The American Express Gift card have also been well received by participants for their ease of use and versatility. Thank you for your participation and once again if you have any questions at all please ask contact Gretchen Clinton at sfdsscrip@gmail.com. Volunteers for the scrip table after Sunday Masses would be appreciated. If you are able to help out with this occasionally please contact Gretchen. With your many prayers, Canon Wiener is continuing to make good progress in his recovery. Thank you! He has received two rounds of chemotherapy and is preparing for the third later this month. Please keep up your prayers for the complete and timely recovery back to good health for Canon Wiener. He is at the moment unable to respond to emails. You are welcome to write a card or a letter to Canon at the postal address below. Photo taken at the Cathedral Basilica of Saint Louis. Click for the article Don’t Hate Me Because I’m Beautiful… over at the Crescat. Beauty enhances the mitzvoth [commandments] by appealing to the senses. Beautiful sounds and agreeable fragrances, tastes, textures, colors, and artistry contribute to human enjoyment of religious acts, and beauty itself takes on a religious dimension. The principle of enhancing a mitzvah through aesthetics is called Hiddur Mitzvah. Historically, this principle, although largely unwritten, was a core part of Catholicism as evidenced by the huge number of elaborate and beautiful churches. Until our current age, the Church made a great effort in making the liturgy beautiful. The incorporation of Greek philosophy into Catholicism also gives us a solid reason for knowing why beauty has a religious dimension, for the Lord is beauty itself. Essentialism and utilitarianism has become a part of our culture, and since they say “beauty is in the eye of the beholder” and so subjective, the Beautiful has been excluded from large numbers of our churches, and indeed in life in general. As the Crescat says, you shouldn’t give a toilet plunger to your beloved on Saint Valentine’s Day, no matter how much it is needed or how useful it is. But when I say that the Republic of the Age of Reason is now a ruin, I should rather say that at its best it is a ruin. At its worst it has collapsed into a death-trap or is rotting like a dunghill. What is the real Republic of our day as distinct from the ideal Republic of our fathers, but a heap of corrupt capitalism crawling with worms; with those parasites, the professional politicians? I was re-reading Swinburne's bitter but not ignoble poem, 'Before a Crucifix,' in which he bids Christ, or the ecclesiastical image of Christ, stand out of the way of the onward march of a political idealism represented by United Italy or the French Republic. I was struck by the strange and ironic exactitude with which every taunt he flings at the degradation of the old divine ideal would now fit the degradation of his own human ideal. The time has already come when we can ask his Goddess of Liberty, as represented by the actual Liberals, 'Have you filled full men's starved-out souls; have you brought freedom on the earth?' For every engine in which these old free-thinkers firmly and confidently trusted has itself become an engine of oppression and even of class oppression. Its free parliament has become an oligarchy. Its free press has become a monopoly. If the pure Church has been corrupted in the course of two thousand years, what about the pure Republic that has rotted into a filthy plutocracy in less than a hundred? Which has most to do with shekels to-day, the priests or the politicians? Can we say in any special sense nowadays that clergymen, as such, make a poison out of the blood of the martyrs? Can we say it in anything like the real sense, in which we do say that yellow journalists make a poison out of the blood of the soldiers?